We’ve all heard of passing the offering basket around… but passing the fisherman’s basket in church? We’ll that’s kind of what happened on Fathers Day at Northside. 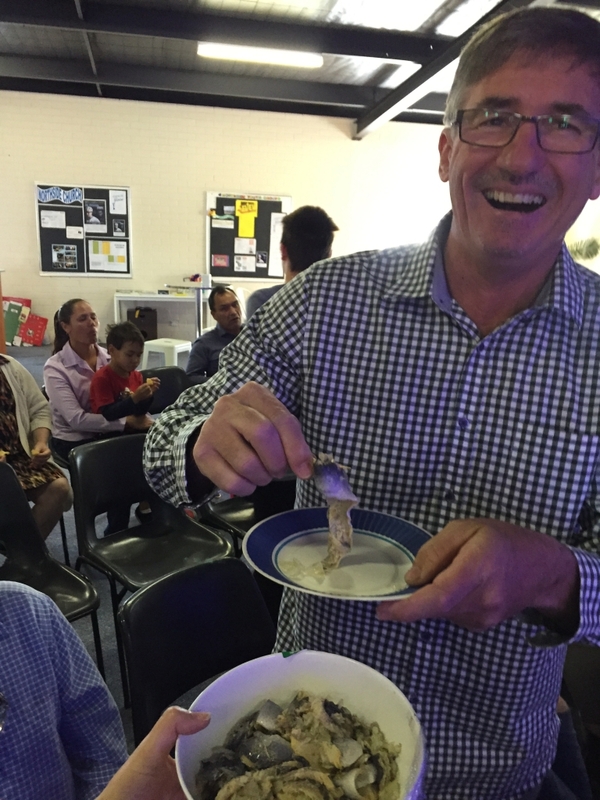 The service was punctuated with all sorts of good ‘Dad’ food being passed around – and we even sampled ‘Rollmops’! For those that don’t know, rollmops are a delicacy of pickled herring fish – They have been a staple in Northern Europe since medieval times. Great Dad food! Apart from the chips, bullets and scotch finger biscuits, other highlights of the service were a presentation from the Kids Church and a skit from the youth. We spoke about ‘influence’. It was a great Fathers Day and everybody had a great time.